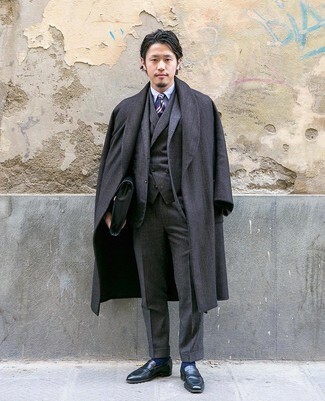 For a smart casual ensemble, marry a charcoal herringbone overcoat with black chinos — these items play pretty good together. Add a more relaxed twist to your ensemble with tan suede work boots. 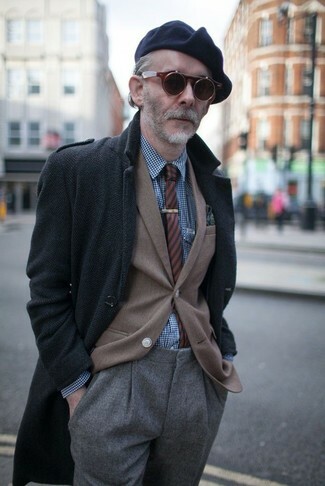 Dress in a charcoal herringbone overcoat and grey wool dress pants like a true gent. 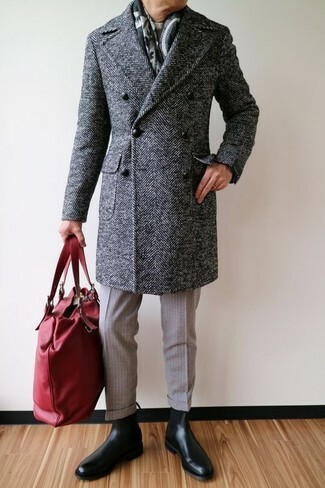 This pairing of a Harris Wharf London herringbone coat and charcoal jeans is very easy to make up without a second thought, helping you look seriously stylish and ready for anything without spending too much time searching through your closet. 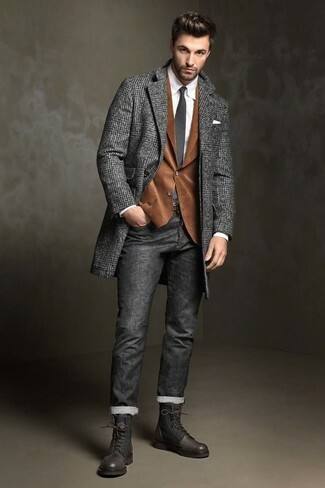 When it comes to footwear, this ensemble pairs wonderfully with dark brown leather casual boots. 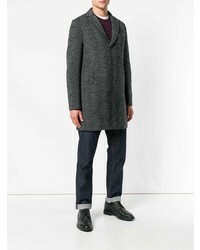 Rock a Harris Wharf London herringbone coat from farfetch.com with beige wool dress pants for incredibly stylish attire. To bring out the fun side of you, finish off your getup with black leather chelsea boots. 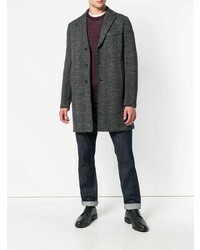 For a smart casual getup, choose a Harris Wharf London herringbone coat and blue jeans — these items fit nicely together. 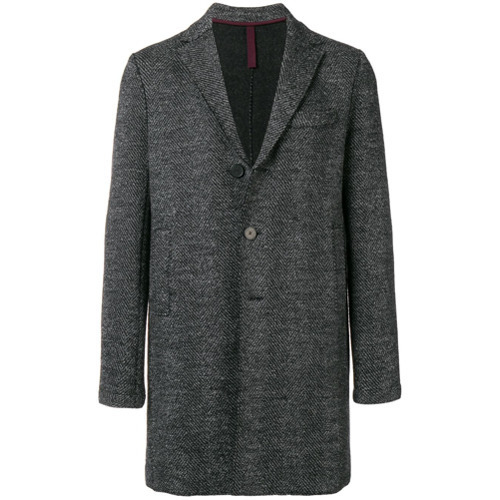 Pair a Harris Wharf London herringbone coat from farfetch.com with a charcoal three piece suit for incredibly stylish attire. 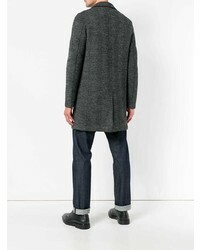 Black leather loafers will deliver a sportier vibe to your getup. 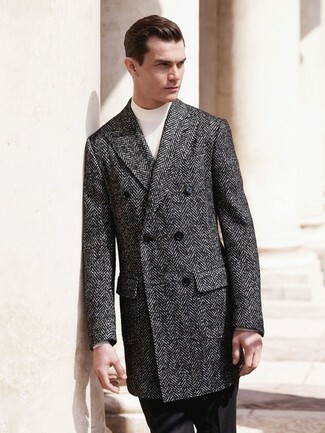 Consider wearing a Harris Wharf London herringbone coat and black dress pants like a true gent. 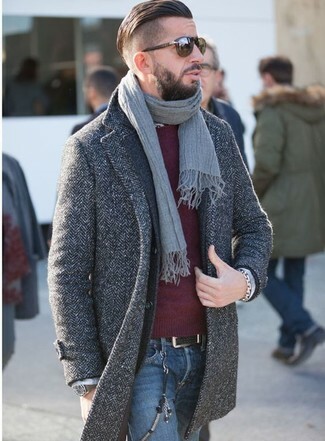 If you're a fan of practicality dressing when it comes to your personal style, you'll love this on-trend pairing of a charcoal herringbone overcoat and blue ripped skinny jeans. And if you want to instantly up the style ante of your look with one piece, add white leather low top sneakers to the equation.